Well well!!! I did Plana Forma for 2 months, from December 2017 to February 2018. In the two months, I was able to observe how the system works in general and why it didn't work for me in general. Don't get me wrong, it's a great exercise system, but it just wasn't my cup of tea. All of us, we learn differently, and that also carries over a lot to the exercise formats we thrive in, and ones we don't thrive in. So I wanted to create a post that will chronicle in what ways did it work and not work for me. How does Plana Forma work? It's an exercise format that basically combines elements of pilates, yoga, and aerobics/dance, in different intensities, in a consolidated 1 hour workout. The other key element is that there is a heavy use of a ballet bar, as well as thick mats and rubber balls. This format is based on Physique 57, the fitness craze that swept New York by storm. They have Forma Core (like the basic class), Forma ASANA (where the yoga component is stronger), Forma MOVE (where the dance/aerobics component is dominant), and several other key classes. The classes basically differ in which class among pilates, yoga or dance is more dominant. In Manila, there is a Plana Forma studio in Makati, and another in Quezon City. I went to the Il Terrazzo Quezon City branch. I was able to try Forma Core, Forma ASANA, Forma MOVE and Forma Endurance. Forma Core is the "basics" class, so it was my basis for evaluating the other classes. It was a 55 minute class that involved arm exercises using dumbbells, leg exercises on the barre, and ab exercises on the floor. The intensity varied in intervals, so there were more demanding and less demanding segments for each body section. Forma ASANA was very relaxing, and despite it being heavy on yoga, I was able to execute most moves asked by the instructor even though I'm severely inflexible. Forma MOVE was something I enjoyed more than the others as there were plenty of dance breaks injected into the pilates segments. I don't get tired easily and look for high intensity cardio workouts in general, so I liked Forma MOVE. 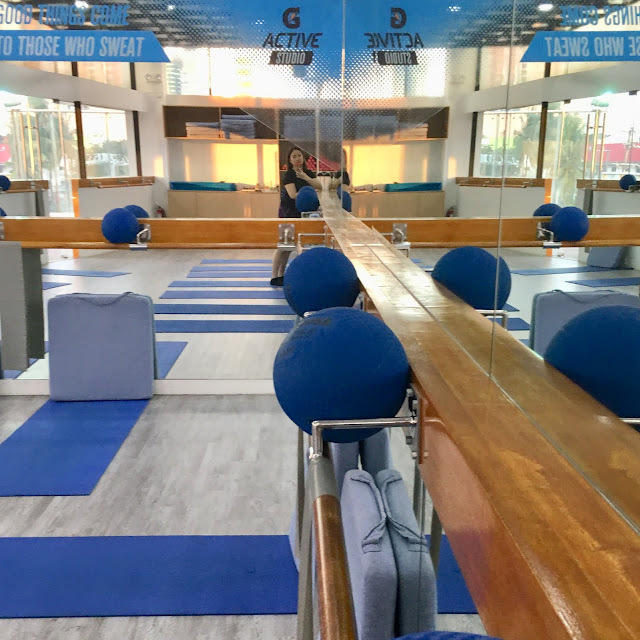 Forma Endurance is something that I would not see myself doing all the time, but for people with unwanted flabs, I think it is a class that will help to tone your body to shape. So let's break down what work and what didn't work for me! The exercise format was music based in general, and the instructors always had a freshly curated Spotify playlist of the latest bops. I always looked forward to what music the instructors would use! I found the exercise system every efficient, as I was able to do cardio, strength, and endurance training all within an hour. The pacing of the class is fast, so you really do not waste any time at all. I liked that I was able to work on my whole body in an hour. There are ab, leg, and arm exercises in each and every class, so it's nice to be able to work on your body holistically. The use of the bar, ball, and thick mat helps to add variety to the tasks. If you will do the tasks alone in a traditional gym setting with no implements, it does get boring. The use of the bar made the exercises interesting. And if you are a frustrated ballerina, you will love the bar exercises. The instructors were very accommodating. Each and every time I attended a class, the instructor would ask if there were any first timers, and they would then pace their expectations. I felt reassured that I did not need to perform everything properly on the first try. To add, the general clientele of classmates are also on the considerate and understanding side. I felt welcomed each time I attended a class. It is an exercise format that I found to be mentally tiring, as you have to constantly listen to instructions and obey with the correct side. The instructor does not demonstrate every single move, as the instructor goes around the classroom often and monitors how everyone is doing. So if the teacher says you need to lift your left leg, you have to consciously listen to that instruction and lift your left leg, because they will finish off all the exercises in a segment for one side of the body, then move on to the other side. But on the flipside, if you are the type who likes to have a sense of direction during your workouts, this will work for you. I personally am not a very big fan of pilates nor yoga, so while the Forma system is good, it really boils down to preference as well. I do attend pilates and yoga classes to be well rounded, but usually it's like twice a month, or once a week at a maximum. I just do not have the innate interest to do pilates nor yoga everyday.